Independent digital marketing agency Construct Digital has undergone a brand revamp of its corporate identity, website and assets. Founder Charanjit Singh (pictured) told Marketing in an interview that its rebrand reflects its transformation from a simple website development agency to a full-fledged digital marketing agency. Its logo, which was previously made up of pixel blocks, the foundation of all digital images, has evolved into a solid design. While still similar in shape and concept, the logo symbolises the key concept that runs through the business – that of constructing, or making something digital. The solid design is also a reflection of the “steady people” that its employees are as an agency. The logo’s colours have also changed from grey and black to primary colours, to show that the agency is moving forward into its next phase of growth. Construct Digital has also introduced more logo variants. Interestingly, images of employees are also embedded in the logo, signifying that its employees and clients are at the heart of the agency. “This has been an eight-year long journey, and we’ve matured now. 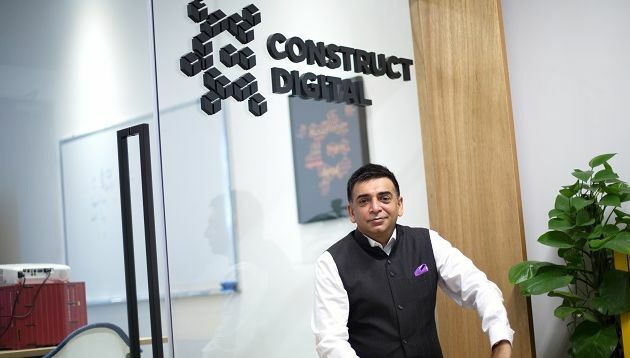 I think the new Construct Digital website reflects that,” Singh said, adding that the website is ready for the future – not just in design but in “every facet” of brand communication. 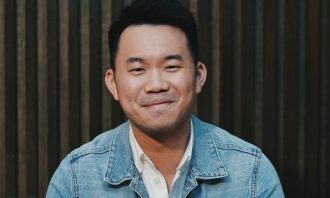 When Singh first co-founded Construct Digital together with Alfred Lee, currently CTO at Our Better World, the agency’s goal was to deliver quality work for our clients. “I was in my 30s, doing okay work, getting okay pay, but I thought, ‘There must be something more we can do, something more we can offer our clients’,” Singh said. Thereafter, it refocused its service offerings to tell stories for mainly B2B clients through content marketing. 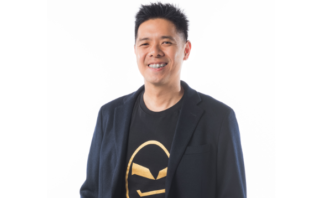 “My goal for Construct Digital now is to build on the success and growth of the agency so far and to turn it into the region’s premier independent digital marketing agency that brings together creative, media, content, technology and data to deliver results for our clients,” he said. Among the list of clients it currently works with include SAP, TUV SUD, Giant, CommScope and Inchcape. 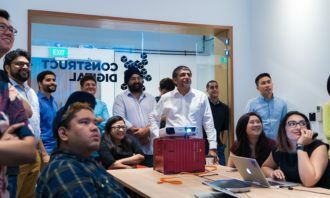 In August this year, Construct Digital appointed Edelman Singapore’s former digital client director, Kunal Robert, as client services director. 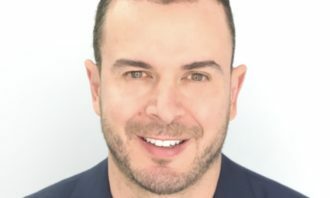 The agency said his appointment reflects its pursuit of leadership in martech, and commitment to enhancing its operational processes by leveraging Robert’s extensive industry experience. 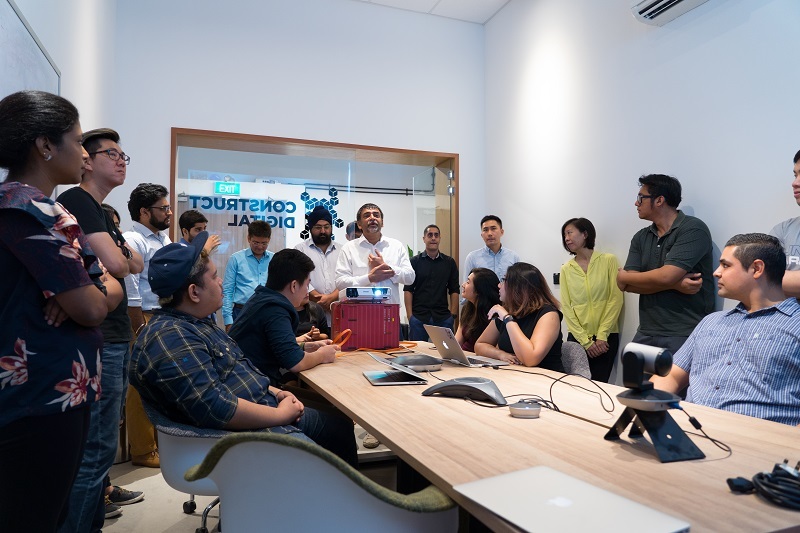 Singh told Marketing that in order to take the agency to its next phase of growth and expansion, it is important for Construct Digital to find quality people. Companies are only as good as the people in them and the agency is “aggressively” hiring at the senior level to play in the “same league as the big boys”, he said. “At the end of the day, clients may come to you because they’ve heard about your brand in the market, but they stay because of the people running the organisation,” he added. Marketing: What do you look for when make senior level hires? The quality of the top people in any organisation determines the company’s culture. We are looking for people who embody the Construct spirit: steady folks with a passion for what they do, technically excellent, and with the willingness to go the extra mile for our clients. We want problem solvers, and people with a growth mindset. Marketing: Are you looking to expand the team? If yes, what type of hires will be made? We’re always looking for good people particularly for talent who can help us tell better stories for our B2B customers. Current open roles within the mid-level staff include business development, digital account/project managers, social media specialists, mobile developers, digital planners and content marketers/strategists, among others. These roles are spread out across our offices in Singapore, Vietnam and the Philippines. Marketing: What are some of the challenges you have faced so far since Construct Digital’s launch eight years ago? 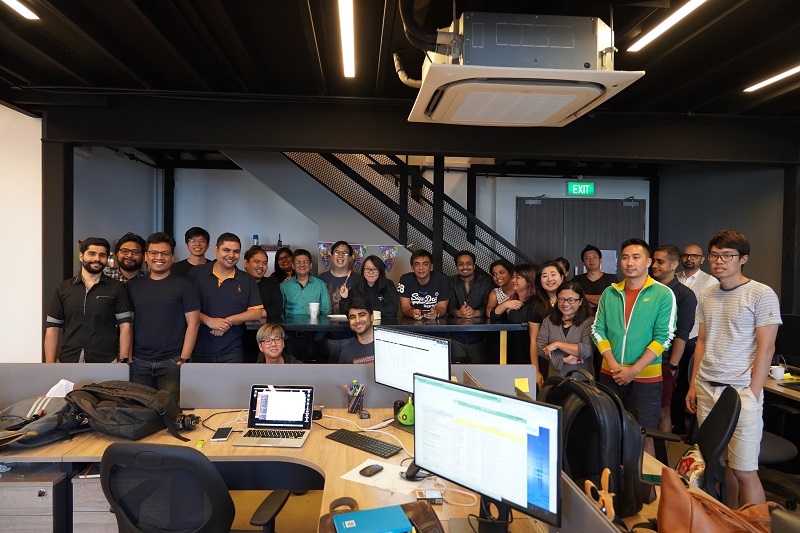 Professionally, finding the right talent can be challenging in Singapore, which is why we have also expanded regionally in key markets like Indonesia, the Philippines and Vietnam. Part of the rebrand is also to position ourselves in a way to attract quality talent. Personally, I had a minor health scare this year which thankfully resolved itself pretty quickly. 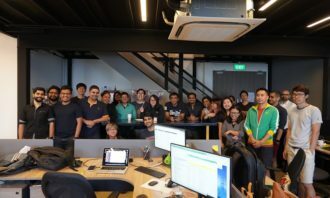 But it certainly made me think about how I’m living my life and about implementing some healthy work life policies in the office to encourage the team to look after their health too. “Healthy body, healthy mind” as I like to tell my staff! Marketing: What skill sets are necessary to succeed in today’s industry? There’s a Japanese word that I think is a really good definition of success. It’s ikigai and loosely translated to mean the cross section of four things: what you’re good at, what you love, what makes you money, and what society/world needs. I think whatever you do in life, you have to ask yourself: Have you found your ikigai? Everything else falls into place if you have. Other qualities that have helped me are tenacity, perseverance and resilience; the ability to tell a good story; being flexible and being adaptable; understanding of digital platforms and why they work. Having a growth mindset and being a life-long learner also helped me. It is also important to enjoy what you do and bring the joy and passion to everything you do. Marketing: What should brands be concerned about when it comes to digital? Brands should get a handle on their data. They should know and understand their data. This will help them better understand who their customers are and what is driving them to take action. They also need to understand that digital is no longer one message. What we do for our clients is we provide a whole suite of services, and then we segment and hyper target their customers with unique messages that resonate with individuals. 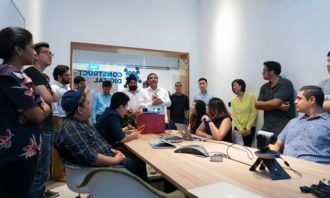 We recently helped the National University of Singapore Society double its membership using the same budget in a record amount of time, all thanks to data. Marketing: Have clients picked up on the importance of data and analytics in Singapore? Where else is there room for improvement? They’re beginning to see it, and a lot of our clients want to talk to us about strategy, customer journey and interception points based on behaviours backed by data. They want us to help them predict the likelihood of a prospect converting into a customer because that will help to prioritise marketing spend. They see the value, and so we can help them. But there is also room for improvement. I think it would be fair to say that there is a lack of awareness and knowledge surrounding just how long it takes to build a workable data set from scratch. This can be expedited; but only if you track everything from the get-go. So, are clients seeing the importance? Well, yes. But do they always know what the data means or how critical it can be? Not always and that’s on us, the data community, to show and tell better. 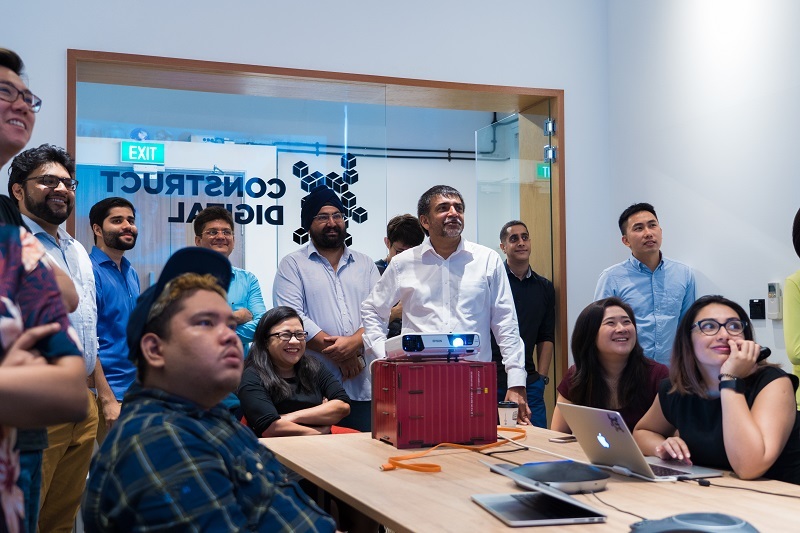 Marketing: Where do you see the digital industry headed in Singapore? A few years back, the big buzzword was data. Data-driven marketing was on every digital practitioner’s lips. Then, we realised that while data gives direction, it alone isn’t enough. 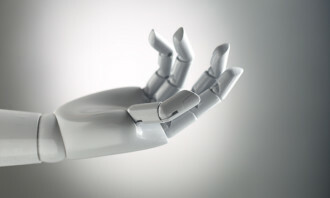 Today, we see the trend of humanisation or storytelling, for brands to better engage audiences. Everyone seems to be trying to tell a story, but as with the earlier focus on data, not everyone is doing it quite right. I believe the future of the industry is a convergence of effective storytelling, backed by sound data insights. This is so that whoever ideas and stories are crafted and told for, it remains authentic and in line with the brand’s vision of itself. That’s the ultimate goal: to craft content that matters, and that can result in new business. STB has created a new programme called M&I STARS just for Malaysian nationals ..
LOOK Do you really want your ad placed here? Banyan Tree's David Spooner shares how the hotel group plans to market its Cassia homes to the rising middle class in developing A..